Add Fort Bonifacio in Taguig City to the list of locations that will have a Mi Authorized Store. Grimalkin Corporation, the exclusive distributor of Xiaomi devices in the country, has shared that it is looking for staff in what seems to be a preparation for the opening of three Xiaomi shop branches. And by doing so, it has inadvertently revealed that an official Mi store at Market! Market! is under construction. 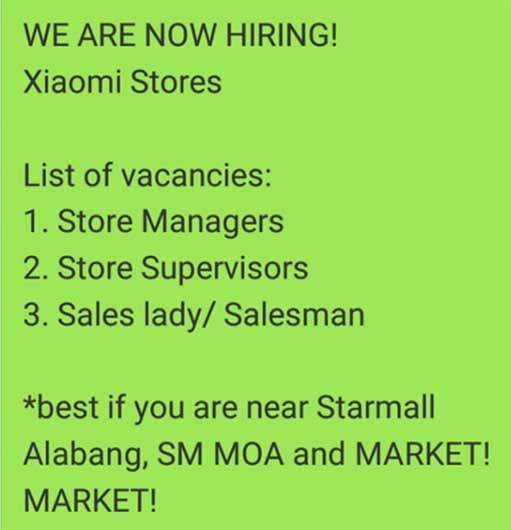 The job announcement reveals that Grimalkin is looking to hire store managers, supervisors, and salespeople, preferably those who are near the Ayala-owned mall, Starmall Alabang, and SM Mall of Asia (call 632.367.888 if you’re interested.) We’ve already known about the latter two, but the one in Taguig is new to us. That’s a total of eight in a span of only nine months, since Xiaomi’s return to the Philippines in February. This suggests the importance of offline retail, especially in a country like ours where most transactions are still done in physical shops. 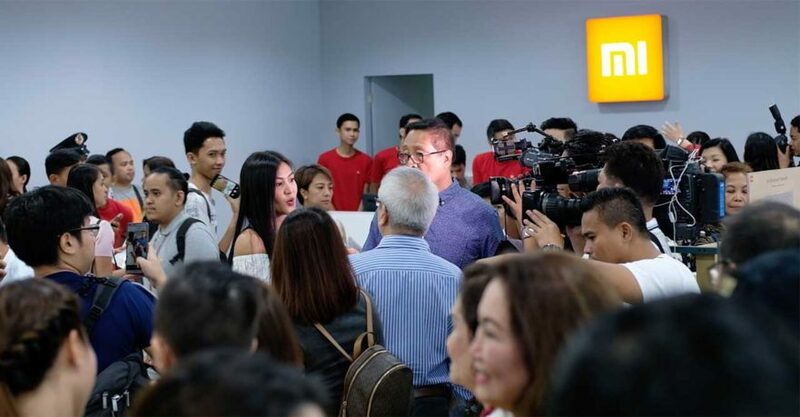 Huawei sub-brand Honor’s opening of its first concept store here, plus its partnership with offline retailers since its comeback in the Philippines in April, bolsters that notion. Of course, if you prefer to buy Mi products online, there’s always Xiaomi’s shops on ecommerce platforms Lazada and Shopee.